The recording of the 2017 Global Law Trial Webinar is up and available here for you to view, along with the video clips from the presentation and the PDF of the power point. You will also find a video from World Rugby and High Performance Referee Manager Alain Rolland covering all the new laws in effect for competitions this fall. Enjoy.. 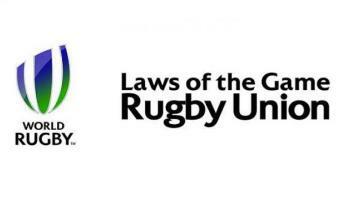 The Rugby Committee has approved the use of the following World Rugby Global Law trials for seven a side rugby tournaments played in the USA and leading to a USA National Championship. These trials are to go into effect in the USA as of March 1st, 2017. World Rugby have approved their use in domestic 7s tournaments in the USA. The original trial start date would have put the adoption of these trial laws into effect in the middle of our National 7s tournaments, and rather than change laws mid-stream we have opted to bring the law changes in early and operate the entire tournament set under the new laws. Add to 5.7(e) If a penalty is kicked into touch after time has elapsed without touching another player, the referee allows the throw-in to be taken and play continues until the next time the ball becomes dead. Add to 8.1(a) When there are multiple penalty infringements by the same team, the referee may allow the captain of the non-offending team to choose the most advantageous of the penalty marks. Penalty Try. If a player would probably have scored a try but for foul play by an opponent, a penalty try is awarded. No conversion is attempted. • A player who is attempting to bring the ball under control is deemed to be in possession of the ball. If a player jumps and knocks the ball back into the playing area (or if that player catches the ball and throws it back into the playing area) before landing in touch or touch-in-goal, play continues regardless of whether the ball reaches the plane of touch. If the ball-carrier reaches the plane of touch but returns the ball to the playing area without first landing in touch, play continues. If the ball has passed the plane of touch when it is caught, then the catcher is not deemed to have taken the ball into touch. If the ball has not passed the plane of touch when it is caught or picked up, then the catcher is deemed to have taken the ball into touch, regardless of whether the ball was in motion or stationary. A penalty or free-kick must be taken within 30 seconds of being awarded. World Rugby is trialing a variation regarding substitutions in sevens. The USA Rugby Committee has approved the use of this Variation in all domestic competitions effective June 18, 2016. 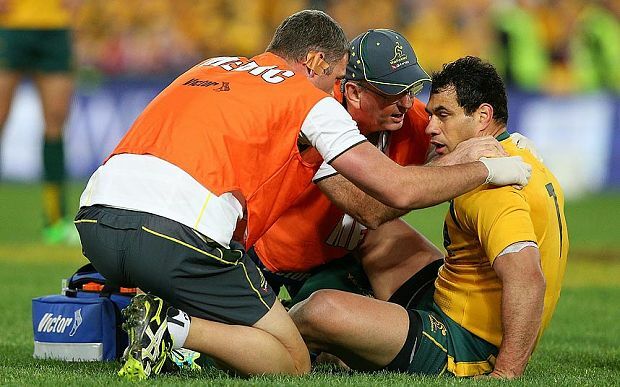 The Exception that allows a replacement for a player with a blood injury remains, even after a team has made all five of its allowed substitutions. The Law that allows a temporary replacement for head injury assessment (which is referenced in this Variation) IS NOT APPROVED FOR DOMESTIC USE. A team may nominate up to five replacements/substitutes. A team may substitute or replace up to five players. It has been a great year so far. 15s only has 2 weeks left and then we move into 7s season. Please let Wendy know if you are interested in participating in any of the upcoming 7s tournaments throughout the state. Please congratulate these outstanding referees for their superior performance and dedication to striving for the next level. Our sincere thanks to every referee in the association. . Without you, the matches do not happen. More promotions coming in the near future. Very important to note that these bundles are only available for a few weeks then the items will be available individually. You definitely want to bundle because of the huge discount and you want to order now to have it in time for the spring season (Jan – May). Our recent poll showed that 100% of you wanted a new kit and One of our goals this year was to get all active referees into the same kit. This is very important and here’s why. The quality of rugby has gone up exponentially in the last couple of years. USA Rugby has taken notice and we are going to see a lot of attention given to Texas. USA Men’s have two matches coming up and we have our local teams that will be competing for national championships. These are great opportunities where TRRA will be involved and a chance to show the country and even the world where the best referees are in the U.S.
We are asking all active referees to purchase at least the basic kit. Every tournament/match I have been to in Texas the last few years, we rarely had a team of 3 in the same kit. We need to have that ability, every time. Since the previous kits are no longer available, we have come up with this awesome kit with several options. You will need to take a close look at the sizing. For example, I normally wear a Large in the old kit or a Canterbury, but in this kit, it will be an XL. Shorts seem to be normal. I wear a Large (36 in waist) and they fit very nice. Look forward to kicking off the spring season with everyone in the new kit. Take care and thank you for all you do on and off the pitch.